Though the City of Pembroke Pines is the 10th largest of Florida's 400+ municipalities, its friendly small-town feel is why so many call it home. 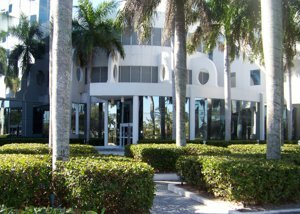 Pembroke Pines is conveniently located in southwest Broward County with easy accessibility to primary highways and interstates. Key employment centers, entertainment venues, parks, golf courses, restaurants and retail/commercial destinations. Named "One of the best cities to live in America"
Pembroke Pines is home to over 160,000 residents. its 28 superior parks and lush landscaping throughout neighborhoods and public places enhance the City's natural beauty and South Florida charm. The City was named "2014 Best City of Hispanic Entrepreneurs" by WalletHub, and was ranked by Money Magazine as #32 in the top #50 "Best Places to Live 2014" as well as being the only Florida city on that list. Pembroke Pines, Incorporated in 1960, is a safe and desirable community. The recipient of many awards including "All-America City," Pembroke Pines is known for its commitment to the arts and culture, its outstanding schools, exciting South Florida lifestyle for all ages, cultural diversity, numerous parks and forward thinking in an ever-changing world. Boulevard Heights Sec Nin Bldg. Walnut Creek Replat No 1 Bldg. Hollywood Lakes Country C Bldg. Pembroke Lakes Sec Eight Bldg. Town gate Gem with Lake view and pool, Home has been remodeled and is in great condition. Priced right for quick sale.